At first, Keira Knightley thought everything was going to be fine. Her pregnancy had been delightful, so she’d give birth to her first child and then continue working at her normal pace. A Broadway show and two films in a year? Try her. But after Knightley had her daughter, Edie, things didn’t go according to plan. She was hormonal, for one. And tired. Because Edie never seemed to sleep. Still, she intended to keep her obligations. She performed eight times a week in a stage production of Therese Raquin and then filmed a supporting role in the drama Collateral Beauty. But in the summer of 2016, staring down the lead role in the period drama Colette, Knightley decided she needed a break. 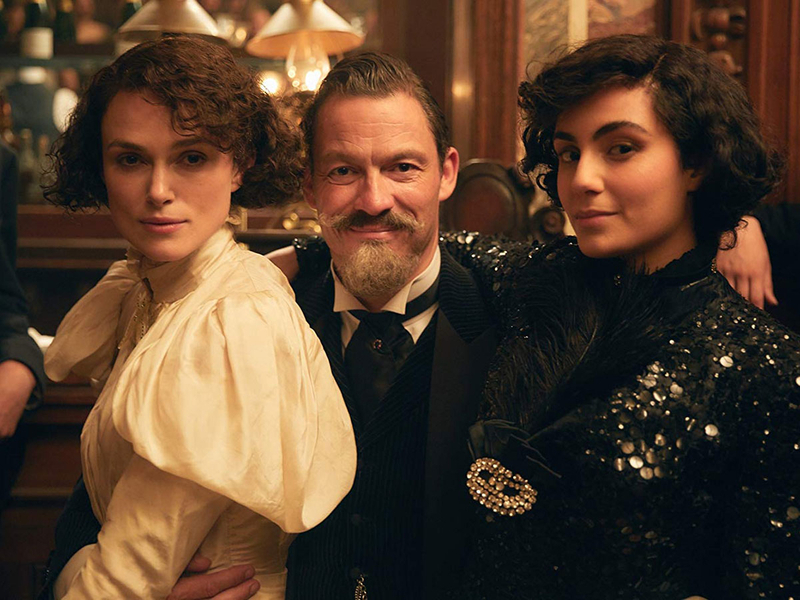 Director Wash Westmoreland wasn’t exactly thrilled to push the start date on Colette — “no one welcomes that news,” he said — but that delay ended up being “the best thing that ever happened”. The filmmaker was able to spend the year finessing the script about the renowned French novelist, who initially wrote under her husband’s name until her work became so successful in the early 1900s that she fought for recognition. Alas, Edie — then age two — still wasn’t sleeping regularly when production began in Budapest in 2017. But by then, Knightley had moved out of what she describes as the “Oh, my God, how am I a mother?” stage and into the “I am the mother” one. And it still does, Knightley said. On her way from London to the Toronto International Film Festival, where Colette screened after premiering earlier this year at Sundance, she was seated next to the actress Rosamund Pike on the plane. Sitting in a hotel conference room, her Chanel flats looking almost too nice against the brashly patterned carpet, Knightley has delved into discussing motherhood even though it’s a topic she thinks the media generally mishandles. She’s bothered by the societal norm that men serve predominantly as providers while women are expected to juggle both maternal and career obligations. Knightley spends a lot of time thinking about gender roles. Growing up, when she began to think about an acting career, it was the male parts she dreamt of having. At age 12, she spent one summer obsessively watching The Godfather, dreaming of playing Michael Corleone. She liked that he was a morally ambiguous hero. Colette, she felt, was a hero. Knightley wanted a bit of her courage and felt like she was “standing tall” when she embodied her. In the past year, in particular, Knightley said she’s been grappling with how much to use her voice. She’s happy to be asked about “more than lip gloss” — she’s been a face of Chanel for a decade now — but it’s new to her. And the #MeToo movement. Knightley said she attended two Time’s Up meetings in the UK, which she found interesting. But she felt slightly out of place. She continues to doubt herself as the discussion moves to social media, which she doesn’t use. She says her non-work days are “too [expletive] boring” to document on Instagram, since they’re mostly composed of dropping off and picking up Edie from preschool. And the idea of sharing “This is what I think!” on Twitter without being asked makes her squeamish. Meanwhile, Knightley has earned a reputation for playing the leading lady in period dramas such as Pride & Prejudice, which brought her an Oscar nomination in 2006, and Atonement — something she returns to with Colette. But she tends to find that period films feature more interesting female characters who aren’t just window dressing or exploitation fodder. Westmoreland and his late husband and filmmaking partner, Richard Glatzer, had talked about Knightley playing Colette at various points over the 17 years they spent trying to get the movie produced. After making the film ‘Still Alice’ together, the two men watched Julianne Moore accept her lead actress Oscar while Glatzer was in the ICU at Cedars Sinai. There, as his body deteriorated from fighting ALS, he used his toe on a speaking device to spell out what he wanted Westmoreland to make next: Colette. 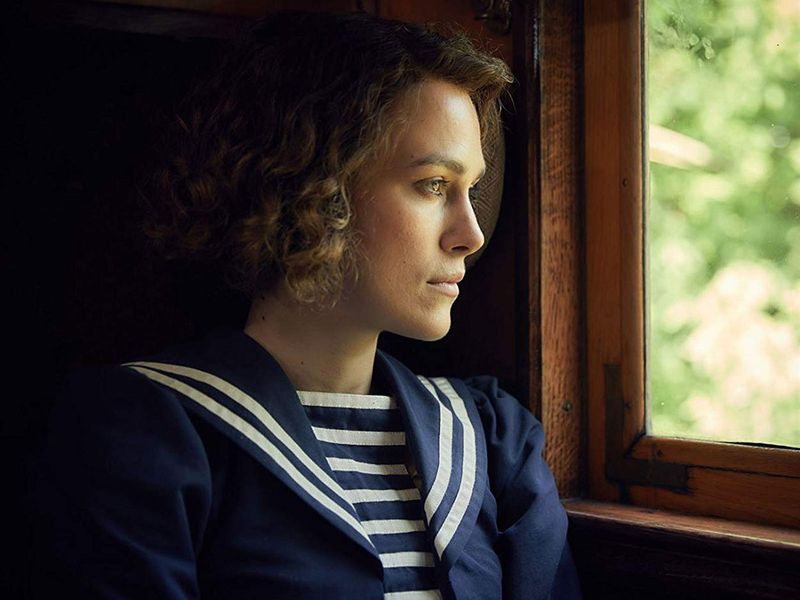 Colette releases in the UAE on December 6.